Hard to believe it’s been 7 months (ironically to the day) since my last post on Mac Daddy. So much has happened; it’s hard to know where to even start. I’m writing this on a Saturday night, in my own bed, in my parent’s basement. Before you jump to any conclusions, relax. As concerning as that may sound initially, it’s not what you think. My wife, Mac, and Lucky are staying here too. The situation is only temporary. I’ll begin with the reason we’re at my folks. We listed our home for sale in May, and had an accepted offer 6 days later. This was extremely exciting at the time, but the deal fell through 2 months later. After weeks of preparing the house for showings we just recently accepted another offer. The house is clean and ready to close on Monday, Nov 2nd. Since our new house isn’t ready until December, we’re fortunate enough to have my parents make room for us in their basement. We are certainly blessed to have this as an option for our family and Mac has loved the fact that he gets to see Oma and Papa everyday. 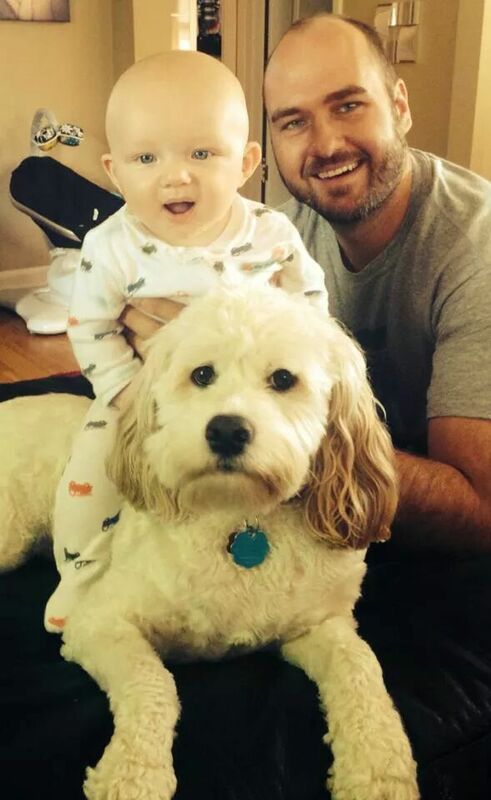 My last post was right around the time that Mac started walking and I feel like I’ve been chasing him ever since! He has grown up so much in the last few months. He’s developed an impressive amount of words and phrases and has quite the personality. 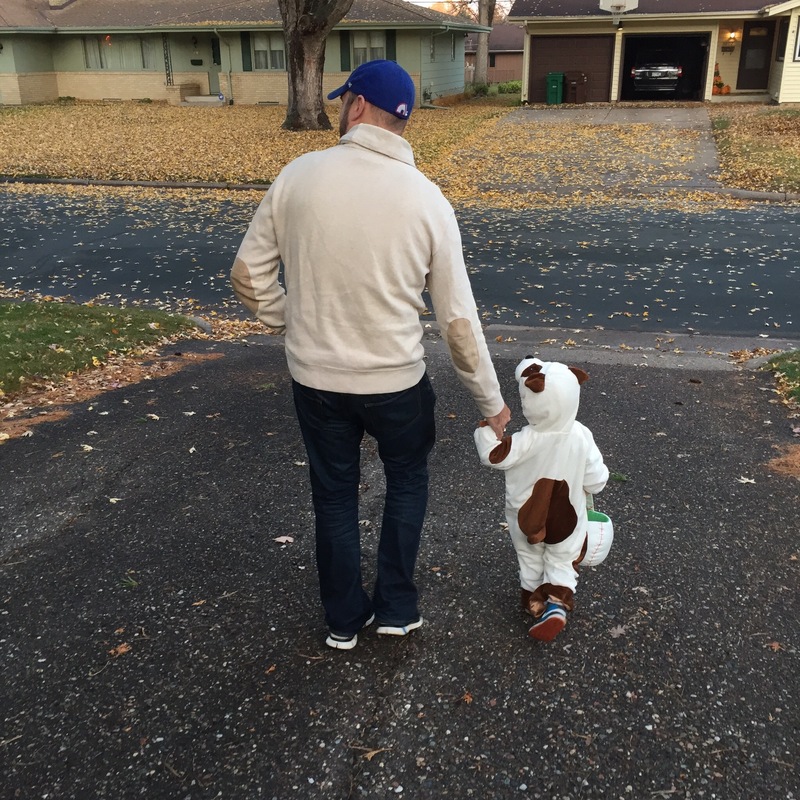 Tonight was awesome because we got to take a step back from the chaos and have Mac experience his first Halloween where he got to Trick or Treat. 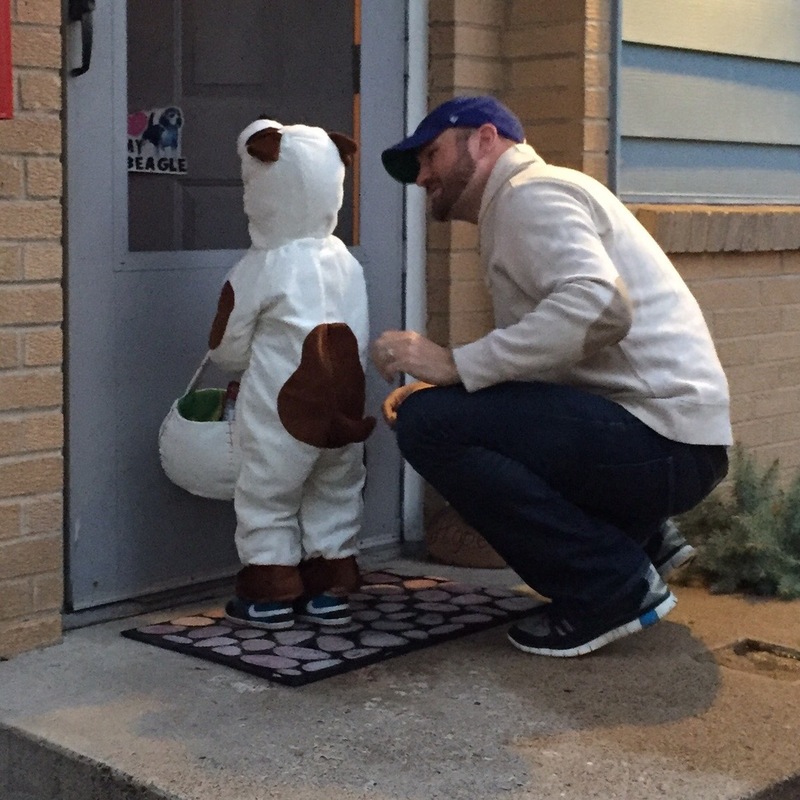 Mac brought smiles to the faces of all of the neighbors as he said, “trick or trick” “thank you” and “bu-bye” to every house we visited. 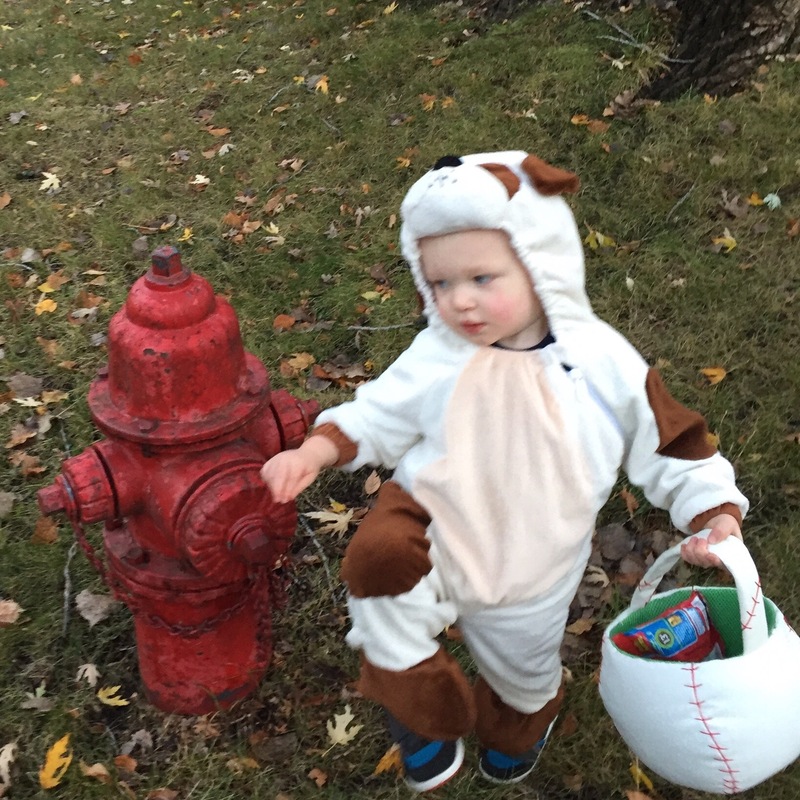 He was clearly the cutest little dog in the neighborhood! I look forward to bringing you more pictures and stories about Mac and his adventures. Also, I can’t wait to see how he adapts to being a BIG BROTHER in April 2016!! !